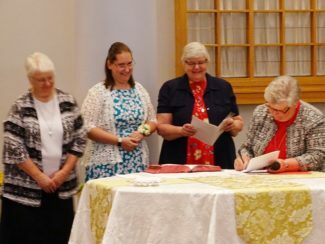 Newman student Jenny Sellaro recently took her vows to join the congregation of the Adorers of the Blood of Christ (ASC), in Wichita, Kansas. 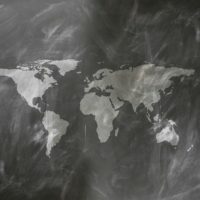 According to its website, the ASC is a vowed religious community of Roman Catholic women founded in 1834 as a teaching order by St. Maria De Mattias, in the small town of Acuto, Italy. Worldwide, the ASCs are 2,000 women strong, including more than 200 in the U.S. Sister Sellaro originally entered the ASC in 2009 while residing in Italy. The stages of formation to become a sister in Italy differ from the requirements in the U.S. The stages in Italy involve completing Aspirancy, Postulate and the Novitiate before the first profession of vows. The U.S. process of sister formation requires one to two years of Candidacy — the equivalent to Postulate — and two years of Novitiate before the first profession. “At first profession, we profess vows of celibacy, poverty and obedience for one year and renew them over a period of about five years until the perpetual profession,” Sellaro explained. One of the commitments of a new novice is to study the constitution of the ASCs — a document that incorporates the congregation’s values and beliefs — together with the history of the congregation. Sellaro, ASC, receives the heart and cross necklace, which distinguishes her as a member of the Adorers of the Blood of Christ. When Sellaro arrived in the U.S., she became an apostolic novice — a title which is given to those in their second year of the Novitiate stage. 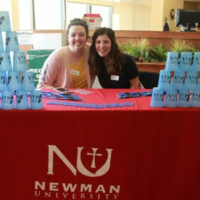 She was told she could fulfill her desire to be a nurse at Newman University while living at the ASC Wichita Center across the street and said she was ecstatic. While every person has their own path that leads him or her to a vocation in the religious life, Sellaro’s faith journey has not always been smooth sailing. Since childhood, Sellaro has had a relationship with God, she said. She regularly attended Mass with her grandmother and even used to write letters to God, which ranged from talking about what she did and how she felt, to stories about all of the people she had met. “I did not know what I was asking for,” she said. After three years as a non-religious, Sellaro was becoming a truly different person, she said. “I was having fun but not (feeling) joy. Of course in some moments I would feel happy but I would always be hungry for something more,” she said. Finally, her mother forced her to return to the church. She told Sellaro that she was not allowed to go anywhere if not in the church. Sellaro reluctantly went, and that same Sunday she was unknowingly introduced to the spirituality of the Precious Blood. Sellaro entered her parish and prepared to sit in the last bench of the church, but a friend had other plans. She asked Sellaro to come to the altar and carry the cross for the entrance procession — a request that astonished Sellaro, she said. Still, she rose from the pew and made her way to the front of the church. “While I was crossing the central nave, I looked at the crucifix and I interiorly felt like He (Jesus) was looking at me, too,” Sellaro said. “I felt like He was not asking me where I had been or why I had waited so long. He was just welcoming me back with love. From that moment forward, Sellaro has never stopped frequenting the church and the youth group. She received what she had asked for — a personal encounter with God. Sellaro’s parish priest spoke about the religious life, and before long Sellaro was getting to know more about the ASCs while on a mission trip to Albania. 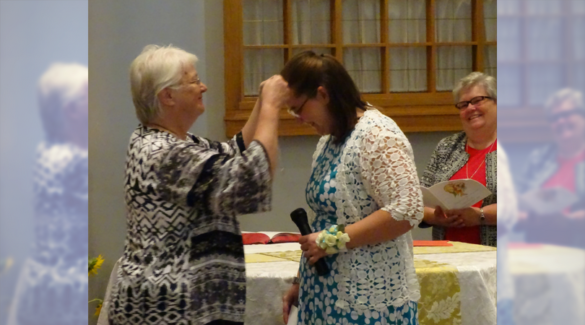 Sellaro describes this photo as the “signature moment” of her welcoming into the ASC community as a religious sister. Additionally, Sellaro fell in love with the story of St. Maria De Mattias. Channeling some of the Italian saint’s fearlessness and ability to leave questions of the future behind, Sellaro left her boyfriend and asked to enter the congregation of the ASCs. “One of the ASCs, in particular, led me as a sister companion for all these years and still accompanies me from Italy,” she added. 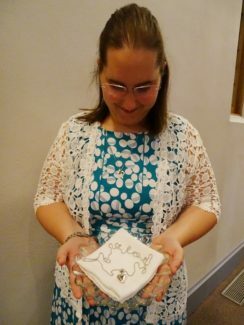 Although her discernment process was a little longer, as an official ASC sister, Sellaro said she is overwhelmed with joy.